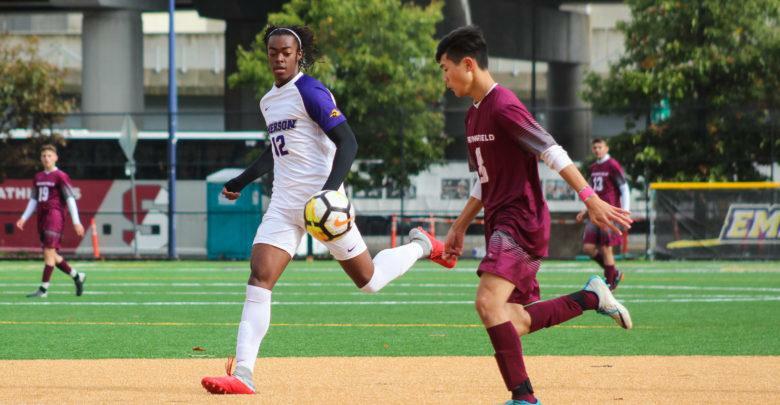 Although the men’s soccer team missed out on the playoffs, the team is optimistic about its youth and its potential to become a competitive program. The Lions finished with a 3-13-1 overall record including a 1-6 record in the New England Women’s and Men’s Athletic Conference. 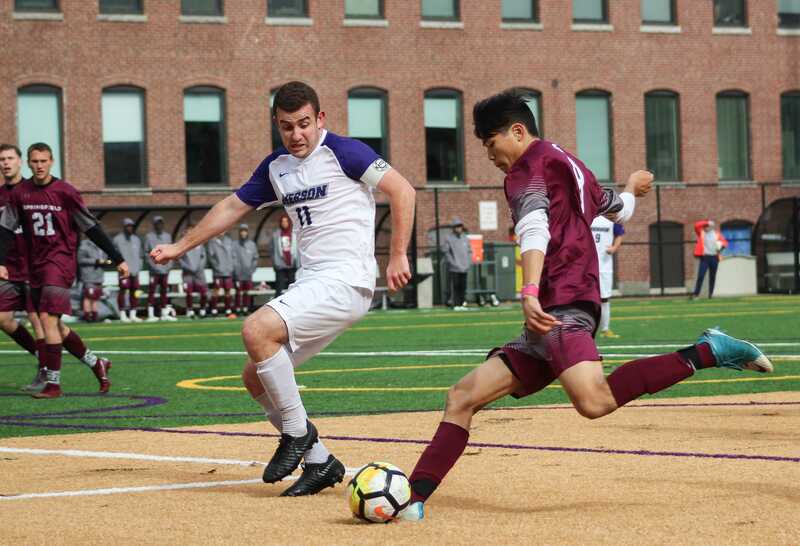 They ended in last place out of eight teams for the sixth consecutive season since Emerson’s inaugural season in the NEWMAC. Junior captain and defender Creighton Dorfman praised how the squad performed better than what their record suggests. Entering this season, head coach Bryan Harkin said he hoped the team could compete in the conference and qualify for the playoffs. However, the team opened their first five games with four losses and ended the season with an eight-game losing streak consisting of seven losses and one draw. Overall, the Lions conceded a total of 31 goals while scoring 10 this year. 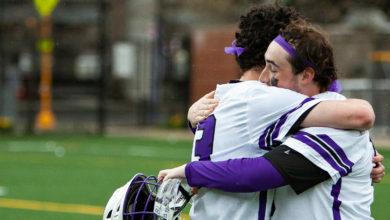 Junior forward Gavin Faucette led the Lions with five goals while senior midfielder Paul Bou Aziz scored three. Freshman midfielder Avery Niles said the team struggled with communication early on as they had to adjust with 16 new faces, including 13 freshman players. However, Niles also said the communication struggles gradually improved as the team built more chemistry together. Harkin said the team will need to find ways to win even on bad days. “We had to play really well to win games, and good teams win games whenever they’re not playing well. They bend but they don’t break, and we broke too many times this year,” Harkin said. Though the Lions struggled this season, Harkin said there is reason to hope they will have more success—the team is incredibly young. He believes that, with increased training and a new batch of recruits next year, they will be ready to compete with a young team. As the team prepares for next year, they will also lose three seniors—forward Max DeLuca, forward Danylo Kowal, and Bou Aziz. Niles said that, with the loss of these senior leaders, the squad will look to the leadership of Harkin and Dorfman to guide the younger players and keep the group motivated and focused. With over half the team comprised of underclassmen for next season, Harkin said the Lions will have to once again rely on youth to drive them towards their goal: the playoffs. Harkin said there is a lot of positive energy and optimism since the players all want to improve for next season. Despite a rough season, Niles said he hopes the young core will develop and lead the team to a more successful season next year. Deputy Sports Editor Aaron Miller did not edit this article due to a conflict of interest.